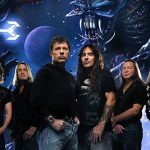 The Book of Souls is the band’s first album since 1995’s The X Factor to use their original logo on the cover. 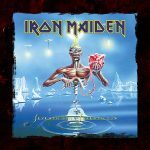 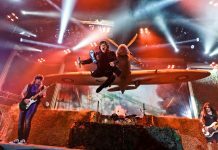 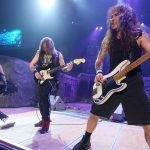 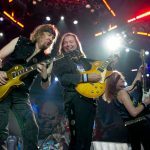 The artwork was created by Mark Wilkinson, whose previous works for Iron Maiden include Live at Donington (1998 remastered version) and Best of the ‘B’ Sides (2002 compilation), as well as “The Wicker Man” and “Out of the Silent Planet” singles covers. 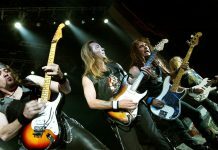 According to Steve Harris, the cover art ties in with the title track, as the depiction of the band’s mascot, Eddie, is based on the Maya civilization, who “believe that souls live on [after death]”. 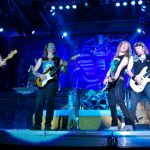 To check the accuracy of the artwork, the band hired Mayanist scholar Simon Martin, who also translated the song titles into hieroglyphs. 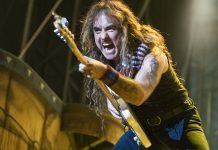 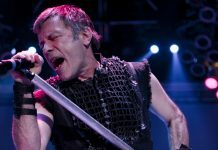 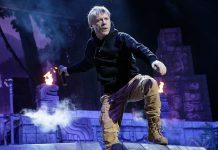 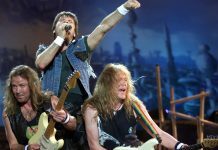 According to Martin, although the civilization had no Book of Souls, “the Mayans are very big on souls … So as a title, it’s appropriate to Mayan culture, but it’s very much Iron Maiden’s own thing.” Although not a concept album, references to the soul appear throughout, as do ruminations on mortality in general, with Harris explaining “as you get older, you start thinking about your own mortality and these things more”.